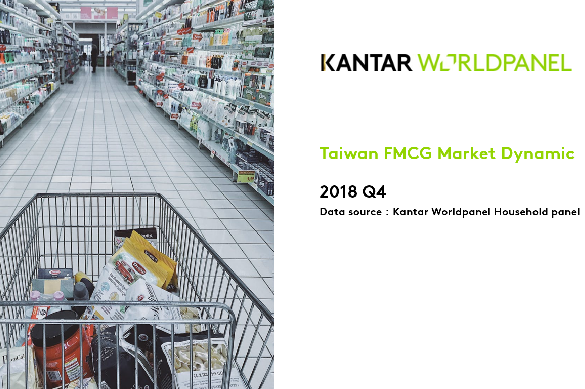 The growth of FMCG is contributed by food category, and the non food is stagnant. Beverages and dairy outperformed the overall market, while home care and personal care were stagnant in Q4. Milk Tea had good performance due to the launch of Rich Milk Tea (重乳奶茶) products. Dairy products had higher growth rate than 2017, mainly driven by Fresh Milk. Also warmer weather might extended peak season this year. Ground Coffee continually showed strong growth in Q4. Deep promotion of premium detergent and the stock up of oral care products slowed down the growth of overall personal care, whereas hair dyes and perfumes remained a good performance. Within Food category, Costco maintained the growth momentum, which leads to an increase in the importance of Hyper. Super have remained stable in the Food category, while Non Food has declined. EC maintains strong performance in Non Food and becomes the second largest channel. It is believed that it should be able to establish a leading position in 2019.